Step 1: Choose your paint. We decided to use different blues but you can use one color or 20 different colors. Get creative! Think about where you’ll use the pillow and the colors in that room. 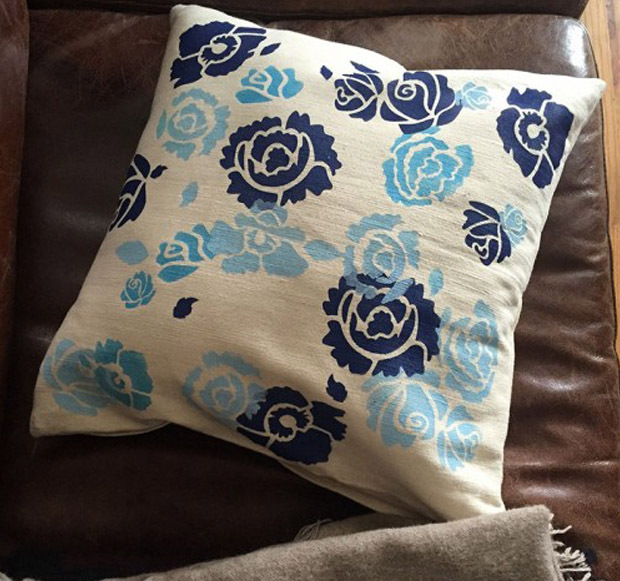 This could be a great accent pillow on your sofa or a subtle pattern on your bed! Step 2: Insert a piece of cardboard in the pillowcase so that the paint doesn't bleed to the other side of the pillow. 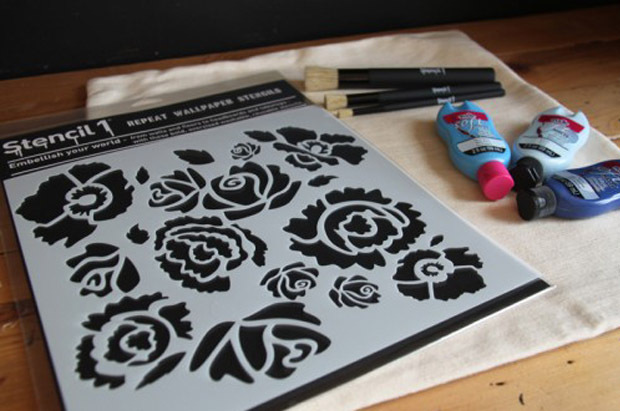 The fun part of this stencil is that you can secure the entire stencil and paint in all the flowers at once or you can paint one flower (or a couple) at a time and move the stencil around each time! 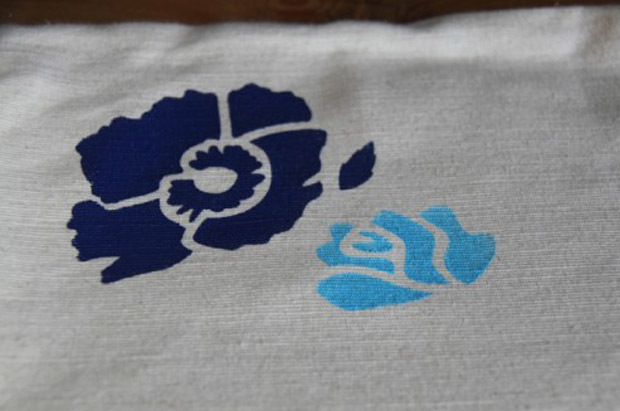 Line up your stencil to the place you’d like to stencil. We decided to move the stencil around so we only used tape if the stencil overlapped a flower we did not want to paint over. 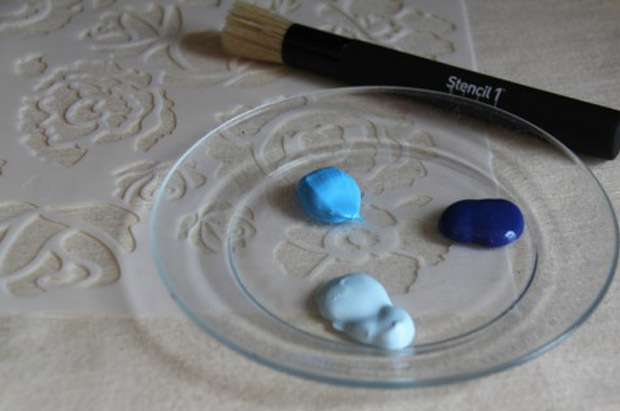 Start stenciling by dabbing the brush up and down or by painting using a circular motion. Remember that stenciling is a dry brush technique. This means using very little paint and adding more layers of paint for a saturated look. 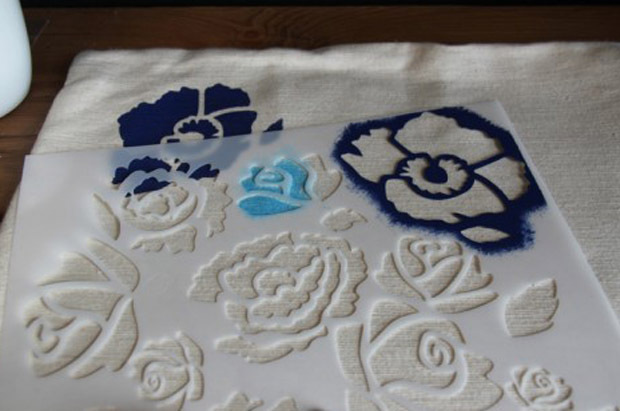 Once you are done stenciling, slowly lift off the stencil and allow the paint to dry a bit before moving on to the next flower. Step 3: Once the paint has dried to touch, move on to your next flower! We used painter’s tape to cover up parts of the pillow we did not want to stencil. Step 4: Repeat steps 2 and 3 until you have covered the pillow with flowers. We had fun overlapping our flowers from time to time. 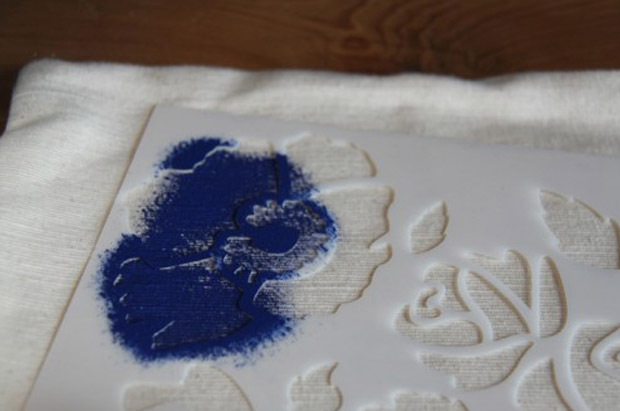 Step 5: Once you are done stenciling, allow all of the paint to dry for about 15 – 20 minutes. 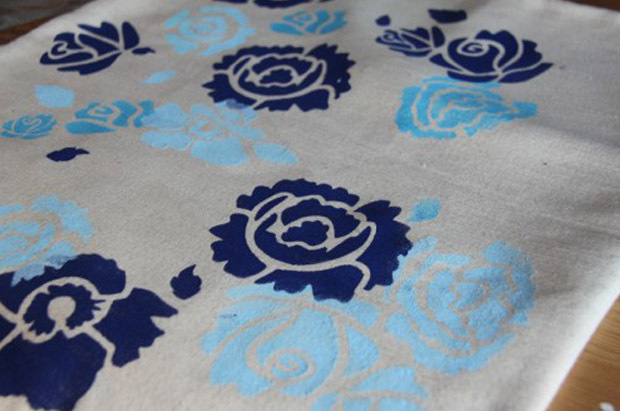 Heat-seal the paint by ironing the pillowcase. 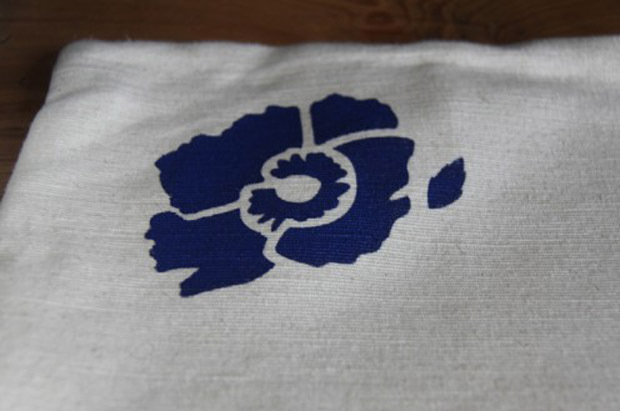 You can use a piece of cloth between the stenciled pillowcase and the iron. Put a pillow inside the case and snap of picture of it to share with us! Ed Roth is a designer and artist who lives in Brooklyn, NY. Ed founded the business Stencil1 in 2004 after running an art gallery in Williamsburg, Brooklyn. Ed is the author of several books published by Chronicle Books: Stencil 101, Stencil 101 Decor, Stencil 201, Stencil 101 Stationery, and Stencil Style 101. His iconic stencil illustrations have been used and praised by many including Martha Stewart, coolhunting.com and The New York Times. While Ed runs Stencil1 he also consults with design companies and ad agencies on creating custom stencils for large brands such as the Gap and also advises on strategic guerrilla marketing. He has also done large scale stencil installations for the Ace Hotel NYC and Benjamin Moore headquarters. More projects with Chronicle Books are in the works as well as licensing of designs to home goods companies.